Happy Halloween! 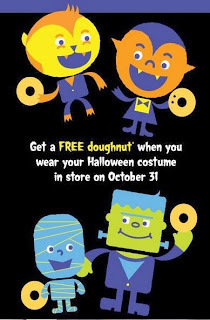 Get a free doughnut for going in costume on Halloween at participating shops. Click the link below to go to the Krispy Kreme website to get the details.